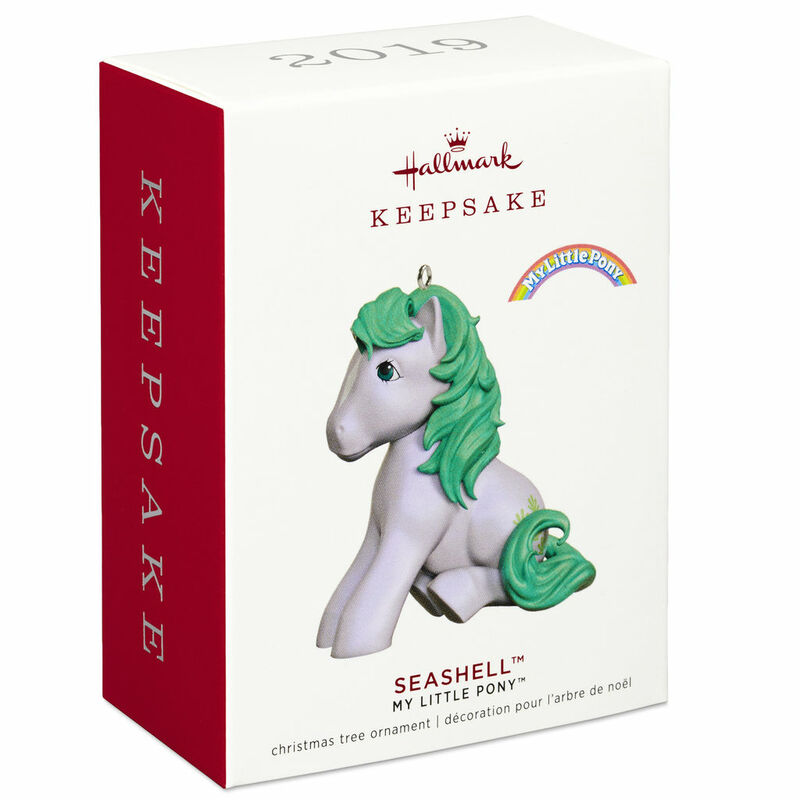 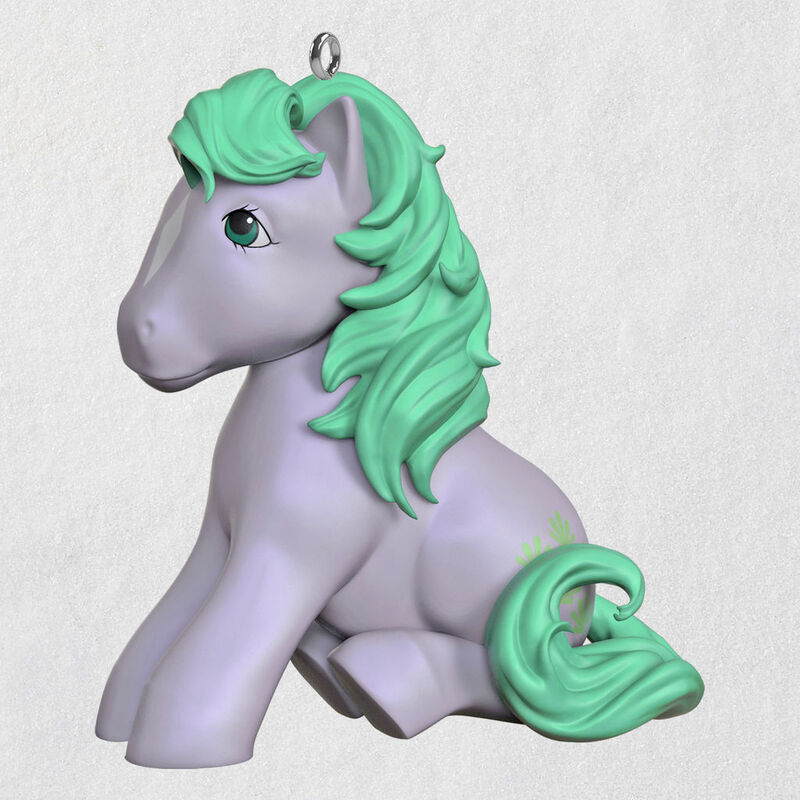 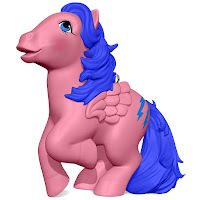 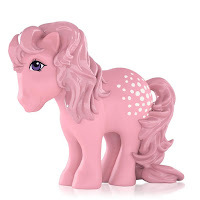 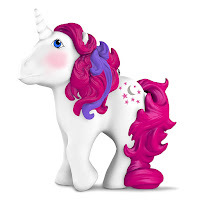 My Little Pony fans will love to reminisce about their favorite ocean-loving friend with this sweet Christmas tree ornament. Seashell, the pale purple pony with a mint green mane and seashells stamped on her hind quarter, could spend hours rolling in the dunes and chasing the waves. 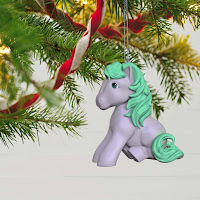 Picture her playing with her seaside friends when you hang this vintage-toy-styled design each year. Plastic Christmas tree ornament is lead-free and measures 1.2" W x 2.4" H x 2.2" D.
Preorders for christmas items in april is a little odd.